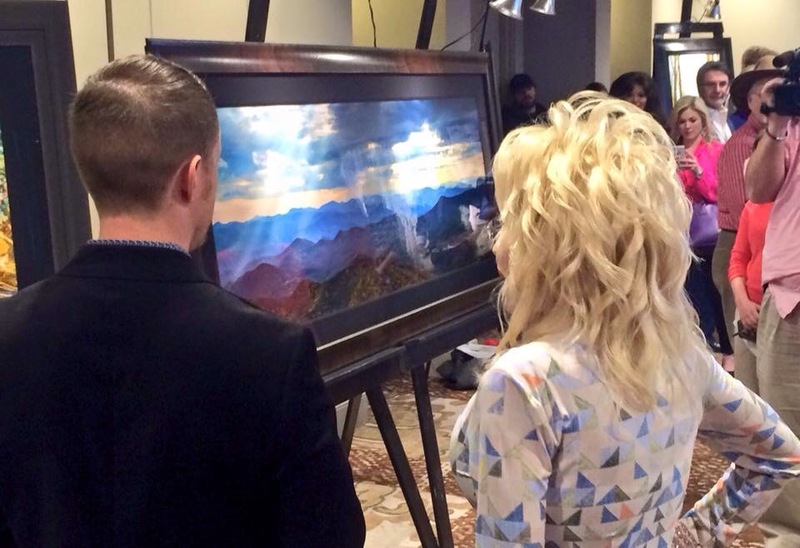 At Dolly Parton’s Dollywood’s DreamMore Resort you can now go on an art exhibition, Benjamin Walls Gallery have the exhibit there. Dolly Parton have also written the forewords to Benjamin Walls Book ” Beyond”. You can buy the art there and the Book sales benefit Friends Of Great Smoky Mountains National Park. This entry was posted in News, Uncategorized and tagged art, Artist, Benjamin Walls, Beyond, Dolly Parton, Dollywood, DreamMore Resort, Exhibition, Forewords by dollyfan. Bookmark the permalink.